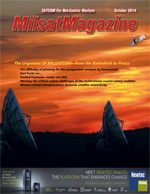 The recent award of the Hosted Payload Solutions (HoPS) indefinite-delivery-indefinite-quantity contract sends a strong signal to industry that the United States Air Force is not only interested in exploring the use of commercially hosted payloads for government applications, but has backed it by allocating nearly $500M to provide a faster path to fulfill the U.S. Government’s need. The IS-22 satellite during the build process. Photo is courtesy of Boeing. While this is a major move forward, hosted payloads are not a new concept. In fact, as this table shows, many of the Hosted Payload Alliance member companies have been developing hosted payloads since the late 1970s. 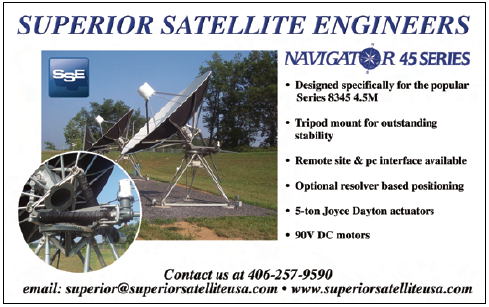 More than two dozen hosted payloads have entered service over the last 35 years, serving customers ranging from the Coast Guard to the Japanese Government to most branches of the U.S. military, and many others. 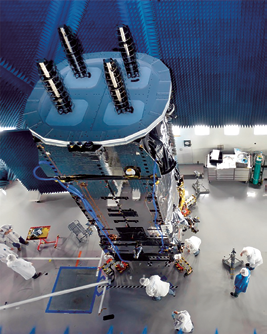 At Boeing, the expertise in payload design, coupled with market experience in the commercial and government sectors, has created several opportunities to develop solutions to meet the demand for MILSATCOM. These solutions have proven to be highly economical as well as expedient. A recent example is the UHF hosted payload on Intelsat’s IS-22 satellite. The payload, purchased by the Australian Defence Force, was placed into service just 31 months after the satellite contract was awarded to Boeing. This is a marked improvement over dedicated government satellites that can require as many as 10 years to be specified, funded, competed for, awarded, and finally—delivered. More notably, the Australian Defence Force confirmed that it saved $150 million by purchasing a payload hosted on a commercial satellite versus buying and operating a dedicated satellite. The technology is ready. The need is obvious, as well, when one considers that demand continues to rise. 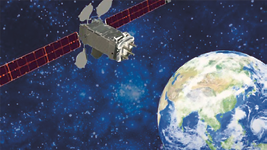 Latest estimates report that the U.S. Government’s demand for military satellite bandwidth is expected to rise 74 percent over the next decade. This will be an increase from the current level of 24 gigabits per second to more than 41 gigabits per second, according to a Northern Sky Research study published in 2013*. Artistic rendition of the IS-22 satellite on orbit. Image courtesy of Intelsat. What are the remaining barriers preventing the government’s adoption of hosted payloads and what can industry do to address these issues? Established in 2011, The Hosted Payload Alliance (HPA) is a satellite industry alliance whose purpose is to increase awareness of the benefits of hosted government payloads on commercial satellites. The HPA seeks to bring together government and industry in an open dialogue to identify and promote the benefits of hosted payloads.